Will Gibbs, VC at Octopus Ventures, suggests that you start gathering key documents for your VDR well before you are asked for them. "The majority of the documents that will be requested will already exist before you start fundraising," writes Gibbs, "so get them together early on." For a list of documents that VCs often request, be sure to review a comprehensive investment due diligence checklist. Meanwhile, let's take a quick look at two key types of documents commonly found in the investment due diligence process: standard business documents and intellectual property. As part of your workday, you probably spend a lot more time looking over presentations and mockups than you do looking over official documents, such as articles of incorporation and financial statements. However, these are exactly the types of documents that the investment due diligence team will focus on. So keep this in mind as you start the process of gathering candidate documents ahead of time. Founding documents, employee contracts, leases, partnership agreements, NDAs and any other documents that look official and important should catch your eye during the document-gathering phase. Download our investment due diligence checklist here to learn which documents you should prepare ahead. Going into the due diligence process, you may be wary of sharing documents containing your most valuable intellectual property. You're not alone. Most startups share this concern. Note, however, that an enterprise-class VDR will have a powerful copyright-protection tool on your side: automated dynamic watermarking. 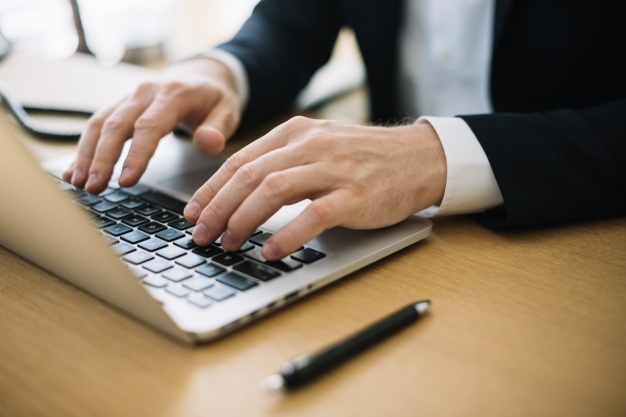 When you leverage this tool, the virtual data room will automatically stamp all documents shared with the specific recipient's email address. This will strongly discourage leakage, while promoting confidentiality. Nonetheless, you may still have doubts about what you wish to share with VCs that have not yet formally committed to backing your business. This is a common concern, and many VCs take this into account when asking for an initial list of documents to look over in your virtual data room. Some VCs may go ahead and ask for all key IP documents up-front, if only as a negotiating tactic or to test the waters. Others may wait until the investment due diligence process has progressed to a point where the founders feel comfortable taking the next step. Still others may not ask for key IP documents at all. Yet no matter what your specific circumstances may be, you should gather those key IP documents ahead of time as a matter of course. At the very least, you will want to have your intellectual property documents ready as a potential bargaining chip heading into your initial meetings. When we name folders and documents for our own benefit, or within the context of a shared company space, we tend to use names that make good sense to ourselves and our colleagues. Yet these inward-facing file names may leave outsiders scratching their heads. For example, suppose you have an active partnership with a company called Hamilton Enterprises that your team has come to simply call Ham. In this case, your document libraries may be filled with files and folders with names like Ham.docx and Ham deal. So unless Hamilton Enterprises is a household name that everyone, including the investment due diligence team, calls Ham for short, then you'll need to roll up your sleeves and rename those files and folders accordingly. It's also important to make sure that the titles of your documents and folders are search friendly. To increase the likelihood that searches will hit the target, avoid using underscores, special characters and uncommon acronyms in file and folder titles whenever possible. Of course, it's equally important to ensure you choose a due diligence data room with excellent search functionality. If there's a material difference between various versions of key documents in the investment due diligence process, uploading an outdated version could undermine the confidence of VCs in your company and jeopardize the deal. Therefore, a key part of the preparation process is homing in on the very latest version of each document you intend to share. Toward this end, be sure to check each and every file under review and ensure that you have the most up-to-date version of it. Furthermore, once the due diligence process is underway, be sure to upload any new updates to shared documents without delay. This is an important habit to foster. After all, a properly conducted investment due diligence process can take a long time, and founders are expected to keep all pertinent documents and data updated. Note that your VDR should fully support the file-updating process in an elegant and seamless fashion. Specifically, look for a new file notifications feature that alerts everyone in the data room whenever you upload new files or updates. Download a copy of our ready-to-use, fully editable investment due diligence checklist here. Once you've selected and prepped your key documents, it's time to organize them into categories. Remember that you are primarily categorizing your documents for the benefit for VCs, accountants, lawyers and other professionals. Therefore, your VDR's taxonomy shouldn't reflect your favorite arrangement, but theirs. So it's important to take a moment to consider how the investment due diligence team will want to navigate your VDR's document library. Your precise list of document categories and sub-categories (that will translate to folders and sub-folders in your data room) will depend largely on your industry and circumstances. Yet your guiding principle will always be to create an intuitive document library to help your visitors find their way to what they need, and fast. Your visitors will primarily be VCs, lawyers, accountants and other specialists that spend a large portion of their workdays diving into folders with names like Financial statements, Litigation, Leases, Partnerships, Real estate property, Acquisitions, Documents of incorporation, Insurance, Intellectual Property, Customer contracts, Stock records, and so on. Although every investment due diligence process is unique, these categories are the mainstays of investment due diligence and will give you a strong indication of how to organize your documents into a taxonomy. Another key consideration to factor in as you proceed with your taxonomy is convenience. For example, suppose your startup has been involved in only one legal matter of real concern to investors: a patent dispute that has been making technology headlines and remains unresolved. In fact, you are inundated with questions about this patent dispute from every VC you approach. Thus you know in advance that the set of documents surrounding the dispute will be one of the most trafficked areas in your document library. In this case, it would not make much sense to bury those documents under Legal > Disputes > Patent disputes > Unresolved, even if that's the most accurate categorization. From a practical point of view, this rigid approach is only going to frustrate the professionals that have to drill down through four folders to find something that everyone knows should be right on top. Therefore, it's perfectly fine to prefer convenience over formality when necessary. A top-level folder that reads Patent Dispute will save everyone a lot of time while earning you points for transparency. Note that in our example we are assuming that you will know in advance what the most visited areas and documents in your VDR will be. However, in many cases you may need to wait and see as the investment due diligence process unfolds. One of the essential features that will help you along the way is file tracking. This advanced virtual data room feature lets you know whenever investors are viewing a given document (so you won't have to ask them). File tracking will also give you a strong sense of what the most viewed documents and folders are so you can make them easier to find in the future. 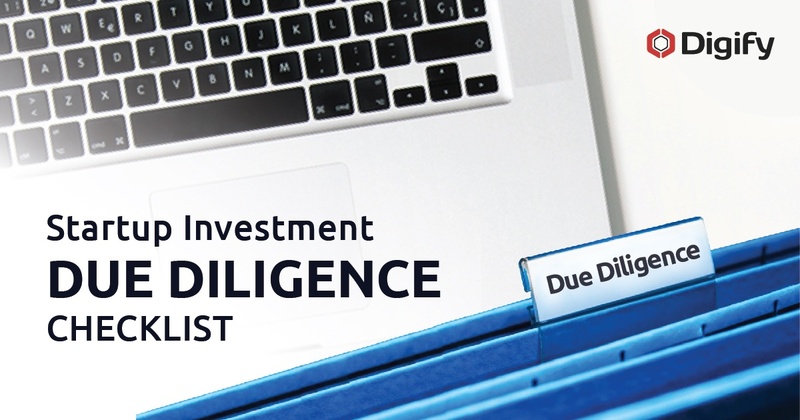 Download our investment due diligence checklist (in word format) to get a head start. Once you've created your taxonomy, you may also want to reorder the documents within your folders according to a precise sequence that will make the investment due diligence process easier. Often, the VC will provide you with a prescribed structure that they wish to follow. To accommodate them, make sure your VDR has a robust file index feature that allows you to rearrange and reorder files quickly and precisely. There's no avoiding it. In order to secure startup funding, you will have to successfully navigate the rigorous investment due diligence process, which in turn requires a well-organized VDR. The entire process is notorious to be lengthy and some virtual data rooms can be equally complex to set up and navigate. On the other hand, there are startup-friendly data room providers that offer a no obligation free trial and lets you create your own data room within minutes. Above, we've looked at three steps to get you started: selecting, prepping and categorizing the documents you intend to share. Your first step is to select documents for sharing in your VDR. 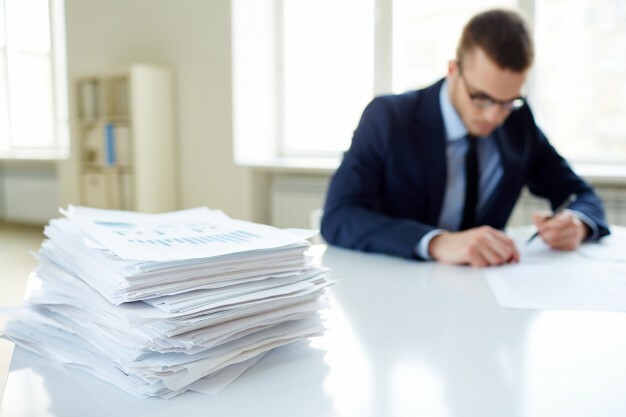 Although different VCs will ask for different documents, standard business documents, such as articles of incorporation and financial statements, are the most commonly requested. You will also need to gather together your valuable intellectual property, if only to use as a bargaining chip. Your second step is to prep your documents. After digitizing any paper-only documents, you will need to begin the process of naming and renaming files and folders to make them easy for search tools, not to mention the investment due diligence team, to identify. You will also need to confirm that you are sharing the most up-to-date version of each and every document you upload. Don't forget to leverage new file notifications to share ongoing updates as the due diligence process unfolds. Your third step is to organize your documents into categories and sub-categories. Although your precise taxonomy will depend largely on your industry and circumstances, you should always balance formality with convenience; leverage your VDR's file tracking feature to make any necessary adjustments; and leverage your VDR's file index feature to order documents in the precise sequence that the investment due diligence requires. Following these three steps will greatly streamline the process of organizing your virtual data room. Nonetheless, organizing your VDR is only one piece of a much larger picture. To see how it all fits together, your best overarching guide is, of course, a comprehensive investment due diligence checklist.